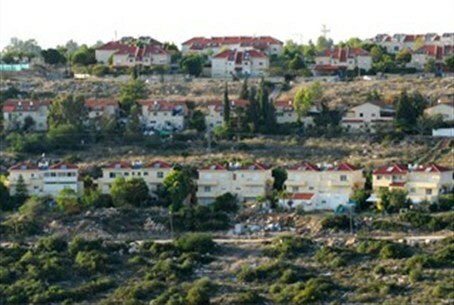 UNHRC appoints officials to conduct a fact-finding mission on 'Israeli settlements.' Israel: the mission is flawed and biased. The United Nations’ Human Rights Council (UNHRC) appointed on Friday three officials to conduct a fact-finding mission on how the Jewish communities in Judea and Samaria (Yehuda and Shomron) affect the lives of Palestinian Authority Arabs. According to a CBS News report the Council president, Uruguay Ambassador Laura Dupuy Lasserre, named three women to the panel: Christine Chanet of France, Unity Dow of Botswana and Asma Jahangir of Pakistan. In March, the 47-nation UNHRC adopted a resolution establishing the “fact-finding mission” as one of five resolutions condemning Israel. Israel’s Foreign Ministry subsequently decided to sever its ties with the UNHRC, saying the decision stems from a series of unilateral moves that the "Palestinians" are trying to lead against Israel. On Friday, Israel called the mission “flawed and biased,” accusing the rights body of corruption for again singling out the Jewish state while “systematically ignoring massive human rights violations” elsewhere. “The mission's existence embodies the inherent distortion that typifies the UNHRC treatment of Israel and the hijacking of the important human rights agenda by non-democratic countries,” Israel's foreign ministry spokesman, Yigal Palmor, was quoted by CBS News as having said.